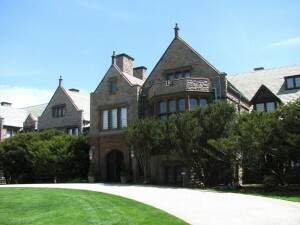 In Newport, Rhode Island, Doris Duke was a lifelong preservationist and devoted much of her fortune to restoring colonial buildings in the city where she spent her summers . She founded the Newport Restoration Foundation in 1968 with the purpose of preserving Newport’s 18th- and 19th-century architectural heritage. Her extraordinary vision resulted in an almost single-handed rescue of Newport’s early architectural heritage. Newport thrives today in large part due to its many unique historic streetscapes. 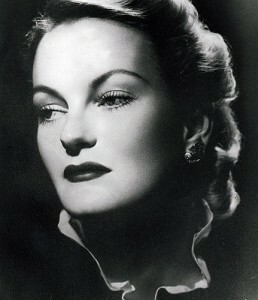 Doris Duke, the only child of James Buchanan Duke, was born on November 22, 1912. Her father was a founder of the American Tobacco Company and the Duke Power Company, as well as a benefactor of Duke University. When Mr. Duke died in 1925, he left his 12-year old daughter an estate estimated at $80 million. As a collector, Duke spent much of her time traveling the world, amassing cou ntless treasures and notable collections of Islamic and Southeast Asian art. She also traveled throughout Europe building her collection of fine art and furniture, much of which she used to furnish Rough Point, her home in Newport. She left Rough Point, intact as she lived in it, to the Newport Restoration Foundation to be opened as a museum. Two of her other homes are also open to the public. Visit Shangri-La in Hawaii which is home to an impressive collection of Islamic art. Explore Duke Farms, Doris’s 2,700 acre New Jersey estate featuring remarkable outdoor resources such as walking trails, gardens and environmental programs. Doris Duke gave away more than $400 million to various causes during her lifetime, often as anonymous contributions. Upon her death in 1993, she left her vast fortune to the Doris Duke Charitable Foundation which supports the performing arts, environmental conservation, medical research and the prevention of child abuse.